Haricots verts are the long skinny green beans that often show up at holiday celebrations and family gatherings. They are especially tender and have a well-developed bean taste. Haricots verts are green beans with a French flair. Haricot vert is the French term for one of the long, slender green beans. "Haricot" means bean and "vert" means green in French. There is more difference between French green beans and typical American green beans than an unfamiliar term. Haricots verts are longer and thinner than American green bean varieties and tend to be more tender and have a more robust flavor. Although you could harvest American green bean varieties early in an attempt to have skinny green beans, it's not the best idea. Haricots verts are not the same as immature American green beans. 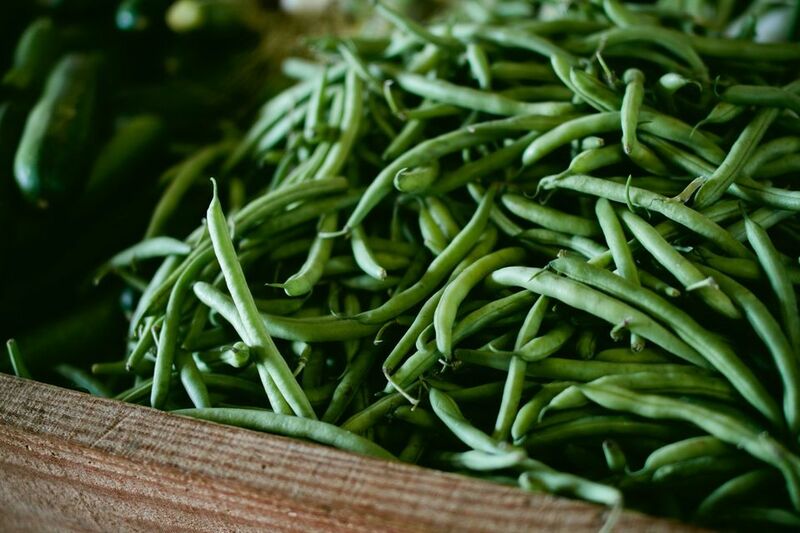 They have a full green bean flavor early in their development and are tender at a thin size. American green beans, on the other hand, are much thicker and not tender until the latter stages of growth. Saute the beans in olive oil with garlic, salt, and red pepper just until they are tender. Boil the haricots verts to soften them slightly and add some chopped tomatoes. Top the cooked beans with thin garlic slices and slivered almonds that are cooked separately. Add soy sauce and mix. Braise the beans in a mixture of soy sauce, garlic, sesame oil, sugar, water, and thinly sliced beef. Saute the haricots verts with bacon and garlic. Steam the beans and season with minced shallot, mustard, and vinegar vinaigrette. Add olive oil. Serve warm or cold. Blanch the beans and put them on a plank along with some pecans. Cook on a grill for about 10 minutes and then top with blue cheese. Leave the plank on the grill long enough for the cheese to start to melt. Steam the beans and add crumbled goat cheese and sliced radishes or cherry tomatoes. Tempura-fry the beans and dip them in a seasoned mayonnaise. Blanch the beans. Wrap bacon around a small bundle of haricots verts. Place seam-side down on a greased baking sheet and season with salt, pepper and garlic powder. Cook for about 15 minutes in a 400 F oven. Saute haricots verts with shiitake or button mushrooms, garlic, and caramelized onions. Blanch the beans for a couple of minutes in a large pot of boiling water. Drain the beans in a colander and immediately plunge them into a prepared bowl of ice water to stop the cooking process. Spread the beans in a single layer on a baking sheet lined with parchment paper. Don't let the beans touch one another. This prevents them from freezing together in clumps. When the beans are frozen, remove them from the baking sheet and package them in freezer-safe bags or containers.